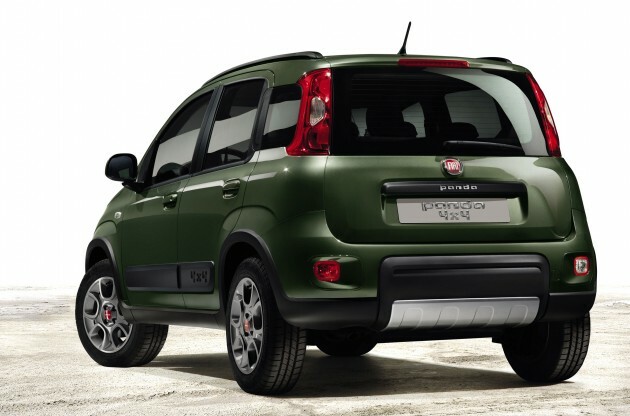 The car you are looking at is called the Fiat Panda 4X4, which Fiat says is the only A segment model that comes with four-wheel drive. The car will make its global debut at the Paris Motor Show that will happen later this month. The car has five doors. It is 3.68 m long, 1.67 m wide and 1.60 m high. Its wheelbase is 2.30 m long, a front track of 1.41 m and rear track of 1.4 m. Two colours are added to the standard palette – Sicilia orange (pastel) and Toscana green (metallic). Inside, the rugged Panda features some new innovations while adopting some from the current urban Pandas. A new green fascia variant frames the instrument and the large storage pocket. 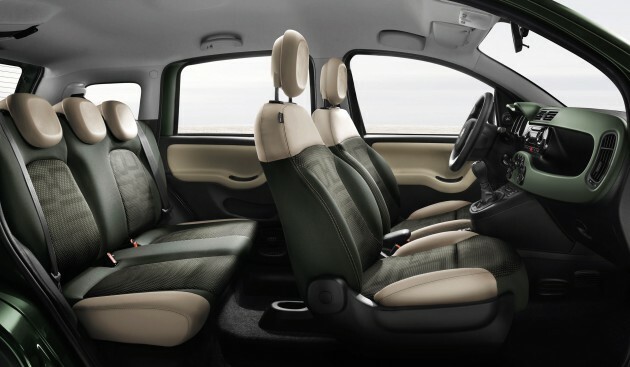 Fabric seats can be coloured in green, beige and orange with eco-leather details. Front and rear door panels are garnished with eco-leather inserts and the high console adds another storage compartment to the 14 that is already present. The four-wheel drive system found on the Panda 4×4 is a ‘torque on demand’ transmission system with two differentials and electronically controlled coupling. It is a permanent 4WD system that gives traction on the front and rear axle as needed. Supporting the system is the ESC with ELD (Electronic Locking Differential), which assists the small car to scale slippery uphill terrain. The system works by applying the brakes on the wheel that has the least grip. This function can be activated manually with a push of a button and it operates below 50 km/h. Suspension comes from independent MacPhersons in the front and an interconnected wheel with torsion beam layout at the rear. The chassis has been tuned to provide comfort as well as off-road performance. 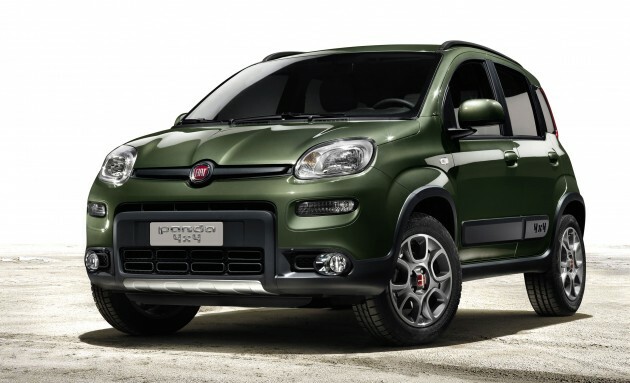 There will be two engine choices for the off-roading Panda; both engines are fitted with Start&Stop. The first is the new 85 hp 0.9 litre TwinAir Turbo, which Fiat says has 40% more torque than that 1.2 Fire of the last generation. The engine is coupled with a six-speed gearbox with low-range first gear. The second engine is a 1.3 MultiJet II diesel that generates 75 hp. Improvements have been made to the engine and it produces 30% more torque than before. Other features that completes the car is the climate control system, CD/PM3 radio, 15” burnished alloy rims, 175/65 R15 M+S tyres, electric rear-view mirrors, central locking system with remote control and read head restraints. There are optional equipment and accessories available to enhance either its urban or off-road capabilities as needed. I bet James May will not agree to this. Like this car meh…Y U No official sold here ? why is the engine cc so small? aimed at budget market. A-segment, small car but 4×4. good for engineer going to site as a side car. Fuel saving as well.